From my understanding, the tutorial explains that in the bump map, at each x,y location the pixel located there holds data on the normal vector to the '3d' surface. Then you use that data to calculate some distortion term to add to the original coordinate location, and draw the pixel at the distorted location instead. Do you know why no distortion is occurring? In the image you posted of your result it looks to me like it's having some sort of pattern to it, isn't that the expected result? Spritebatch has a effect parameter overload, try using that instead of invoking Apply() yourself. You are aware this isn't a bump map? Bump maps perturb the normal and the normal is used to create the lighting. All you are doing is modifying the place in the water texture you sample from. 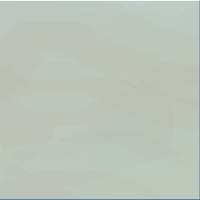 If all you want is a little 2D water effect, change your water texture and you should be fine. Hey, apologies for the late response and thank you for the answers (: . 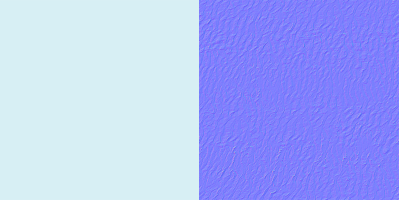 I definitely didn't realize my blank water map was causing this, I honestly just started learning how to make shaders and was trying to follow a tutorial! Thanks for the tip, I'll try that!